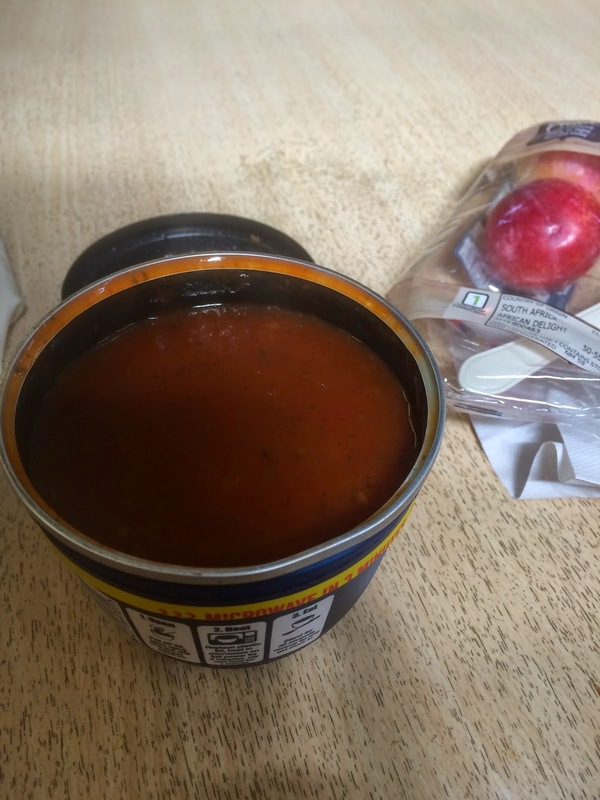 In a series of lunch-time related reviews I'm exploring the options that we have for eating when the only things you have are a microwave and a kettle. 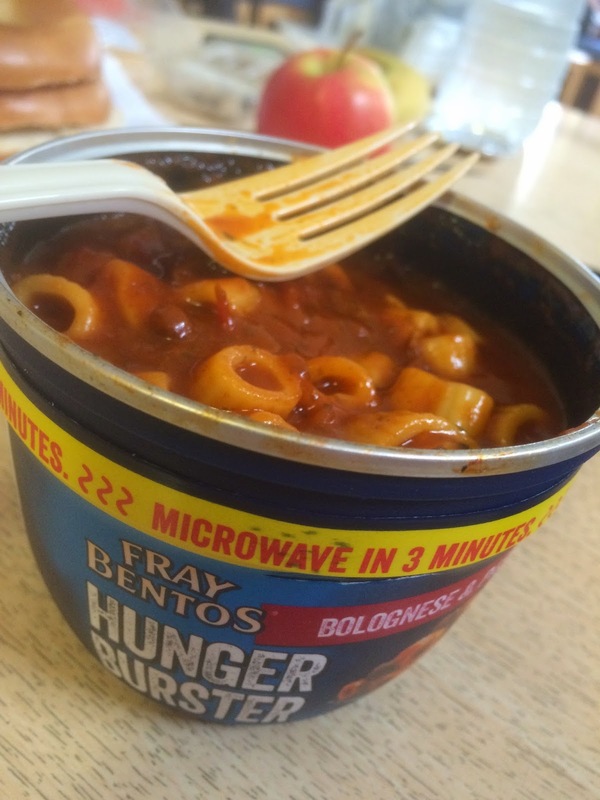 First up was the Fray Bentos range. This is currently on special offer in Asda and is 2 for £3 instead of £2 each - a 33% saving. As one day's sandwich in the shop is £3 this is pretty good. 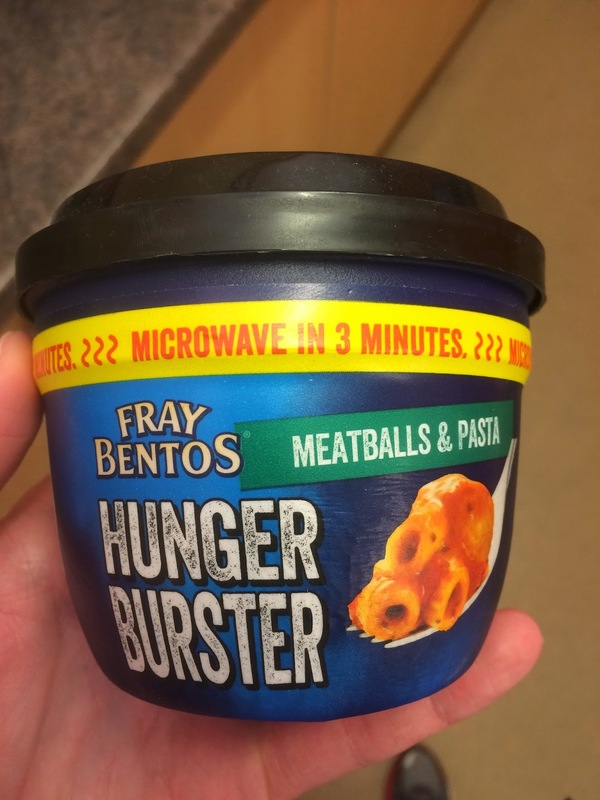 While the Fray Bentos pie I reviewed was passable it wasn't something to be too excited about. I hoped that these would be at least similar quality. The containers were great quality - like a can that you could microwave so perfect for eating at work. Indeed I've washed out and kept a container for future experiments. I started off with the Meatballs and pasta one as of the two flavours chosen it seemed the one I'd like the most. Rip off the tin lid and it looks pretty hearty. Nuke it for the allotted time and everything sinks! Guess the sauce becomes less dense when heated. It also becomes insanely hot so allow extra time for cooling! It's certainly flavoursome, but the pasta is as expected and very tinned in taste and texture. 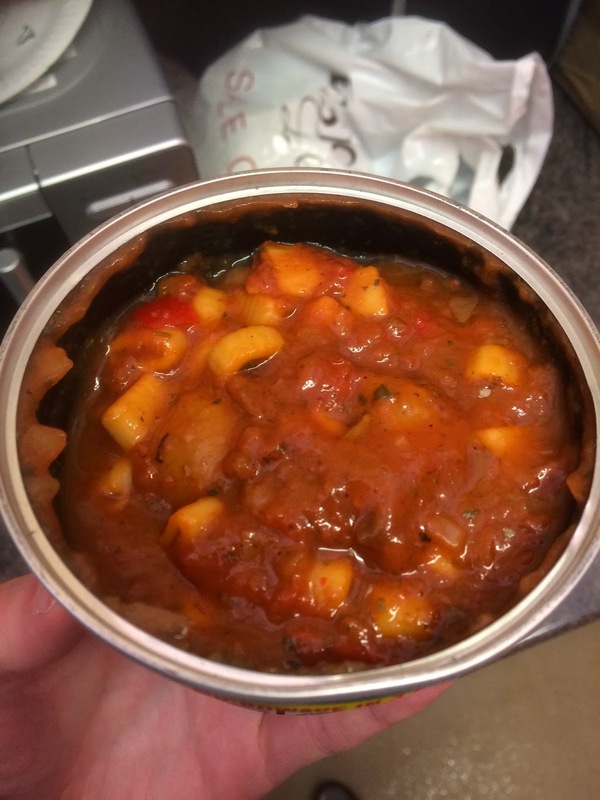 I was considering how similar it was to the tinned pasta and meatballs I'd have from heinz as a child and thinking that it was probably twice the price. Overall though as I dug down I found a lot more meat than I'd found in those cans and overall I was full up by the end - even though it wasn't anything too special. About a week later I had the bolognese flavour one - which didn't have the meatballs but did have a much superior taste. I couldn't identify what the difference was in the ingredients but as I was similarly full I think I'd pick this one up in future first - but both are something I plan to have again until they start serving meals at work again. And if it keeps me off the £3.75 meal deals I'm saving £2.25 a day on the special offer price - result!